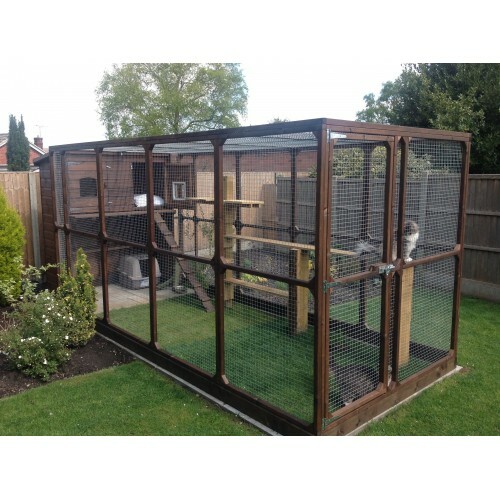 Ellis Super Outdoor Cat House and large Walk in Cat Run to keep you cats safe, secure and exercised outdoors whilst getting fresh air. 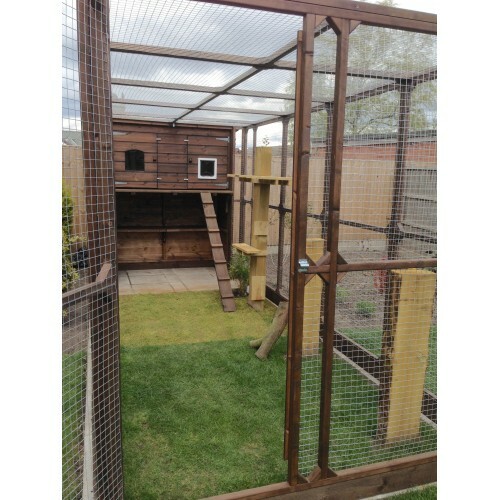 A large House and Run for lots of play space for all breeds of cats. 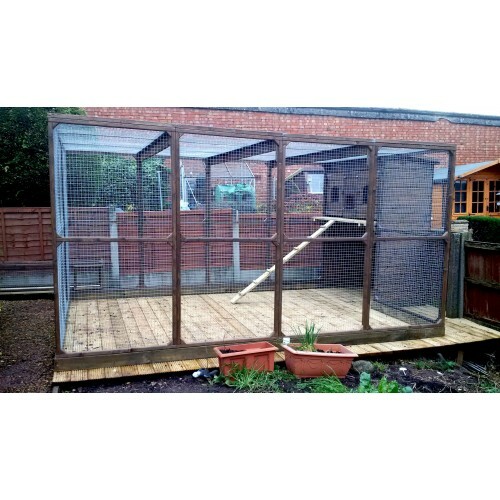 Designed and manufactured with the cat and cat owner in mind while looking great in any garden or outside space. Lots of space so climbing ramps, tree logs and shelves can be added to give the added interest and stimulation. 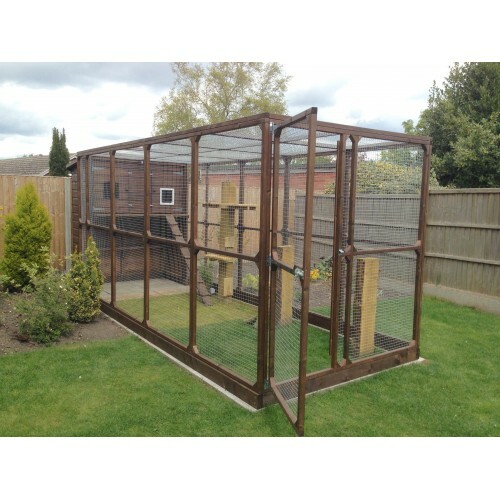 The Shiplap cladding to the Cat House and the Run framework is smooth square planed tanalised pressure treated timber for excellent rot protection and is screwed together for strength and durability, the finish is a natural colour. 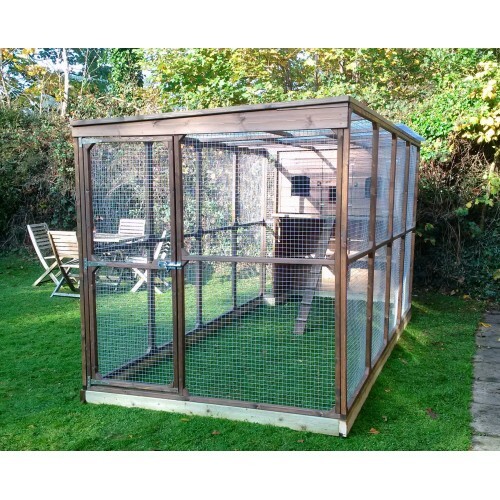 Additional Option - Run Panels can be added to increase the length and width of the Run. 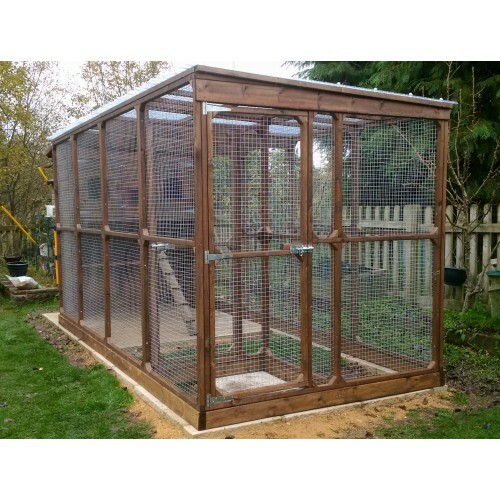 Additional Option - Security Porches can be added to the Run for increased security for frisky or nervous cats to prevent bolting. 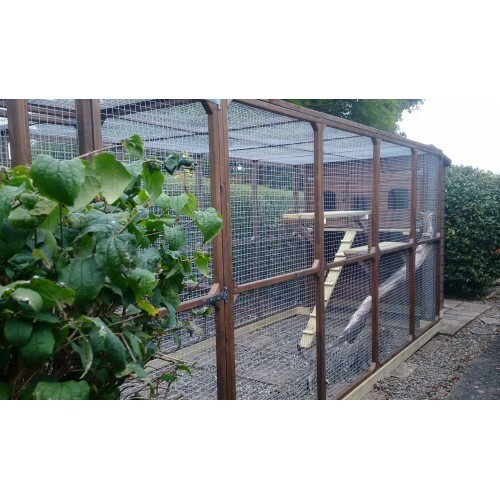 Additional Option - Tunnels can be made and fitted to the Run and existing Cat Flaps to enable your go to come and go as it pleases. 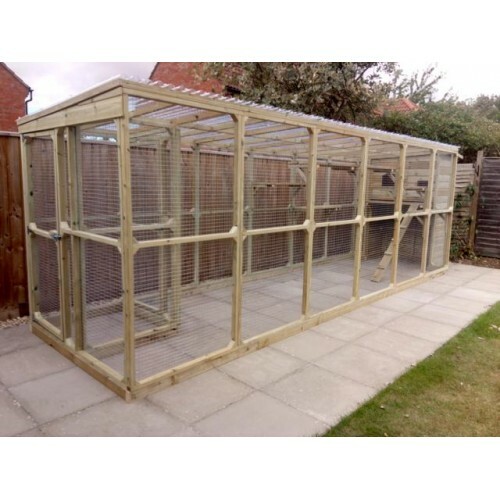 Additional Option - corrugated UPVC roofing for waterproofing can be fitted to the Run, the roofing is made with a slope for water to tun off. This week end Martin and Ian from Woodenart delivered and installed our Superellis cat run. 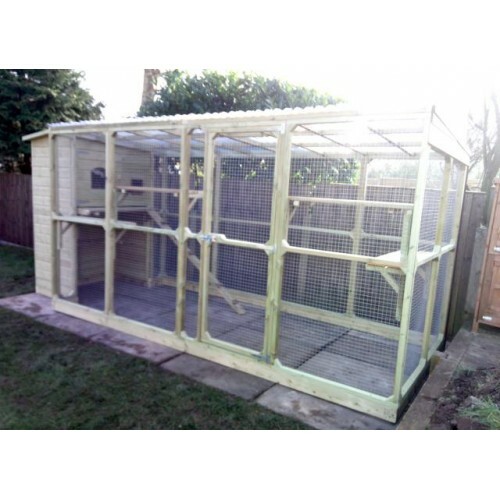 It is so well made and looks perfect at the back of our garden! 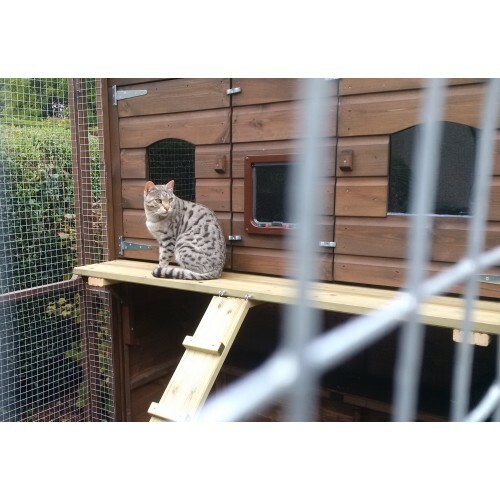 Griff, our handsome Savannah cat, can overlook the garden or snuggle down in the cosy cat house. Highly recommended!!!! Katrina, Dave and Griffx .. 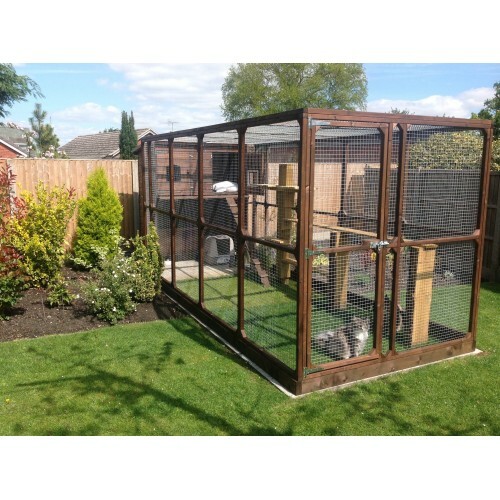 I had a Super Ellis cat run installed yesterday and the two cats are already enjoying it.Beautifully made and put together after a very long drive. I am so pleased and can't praise the service and workmanship enough.Thank you. Sue Pinkney. 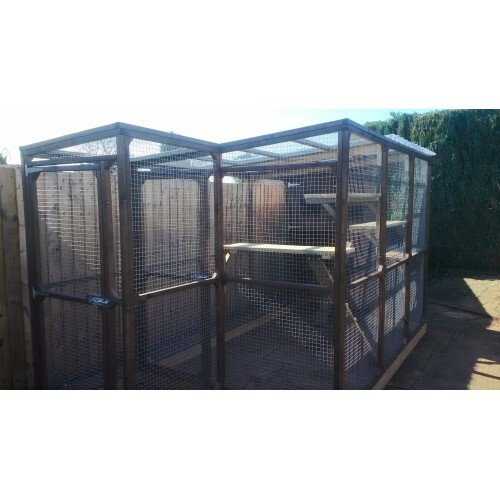 Pembrokeshire ..
We're thrilled with this cat house and run, superbly made, looks beautiful and gives our 4 cats a huge safe run, we also have the covered roof to the cat run which has been a good decision given the mount of rain we've had in the last week ! 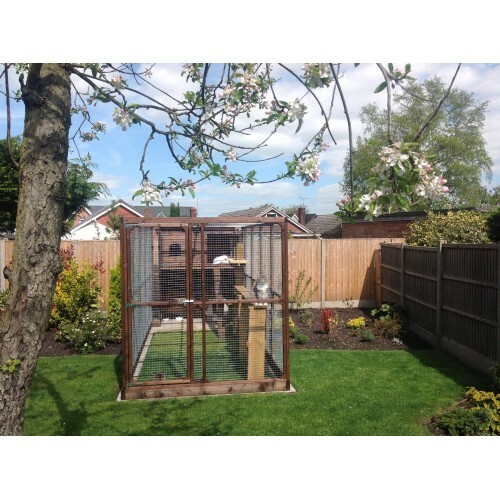 Mark was brilliant from start to finish and he and his brother installed the cat run in a professional efficient manner. This is the 2nd cat run we've had fro..